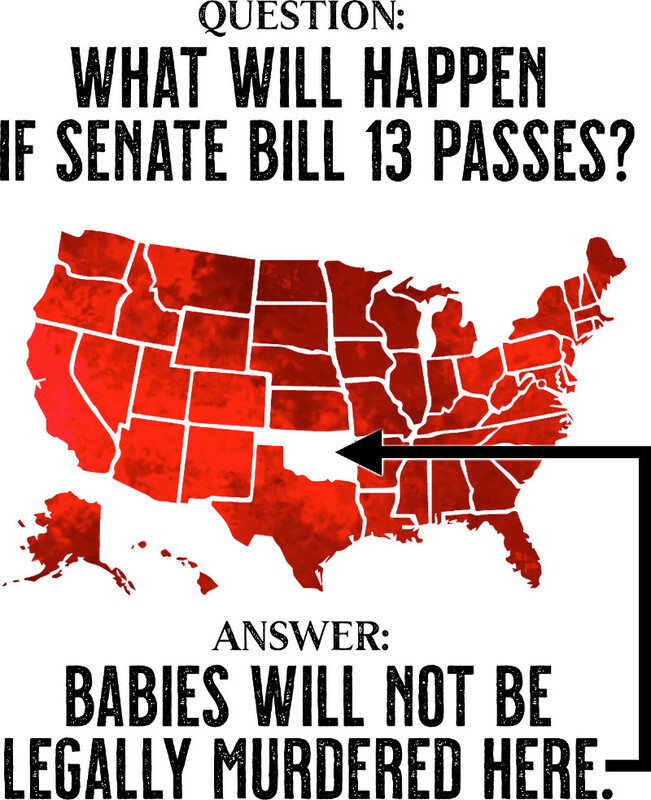 SB 13, among other things, outlaws abortion and also repeals provisions regulating abortion. It repeals those provisions because, among other reasons, those provisions would be obsolete, unnecessary, and redundant once a total abortion ban were in effect. As I put it before, “When you pass a law outlawing ALL abortions you don’t need statutes on the books outlawing SOME abortions. That would just create confusion.” Still, there is a fear being stoked by some that a court considering SB 13 could strike down the part of the bill outlawing abortion but uphold the part of the bill repealing what would become obsolete, unnecessary, and redundant provisions regulating abortion (i.e. dismemberment ban, partial-birth abortion ban, etc.). Regarding federal courts, the bill explicitly provides that the State of Oklahoma will not appear in federal court if sued there (pg. 24, line 24, et seq). The bill makes this statement because of the clause immediately preceding it, which finds, “Any federal statute, regulation, executive order or court decision which purports to supersede, stay or overrule this Act is in violation of the Constitution of the State of Oklahoma and the Constitution of the United States of America and is therefore void.” In other words, as applied to this question, any federal court decision that purports to supersede, stay, or overrule any of SB 13 is going to be ignored by Oklahoma. Consequently, it would not matter whether a federal court struck down parts of the bill and not others because any federal action striking down any of it would be deemed void by Oklahoma. That still leaves unanswered the issue of what state courts could do, so let’s consider that. The provisions of every Oklahoma act (i.e. bill) are presumed severable “unless there is a provision in the act that the act or any portion thereof or the application of the act shall not be severable.” 75 Okl. St. § 11a. SB 13 has a provision stating, “The provisions, words, phrases and clauses of this act are declared to be inseverable.” (SB13 Introduced, Section 34, Page 25, Lines 3-6). Therefore, the sections of the act that repeal obsolete, unnecessary, and redundant provisions are not severable from the rest of the bill. In other words, the provisions of the entire bill must stand or fall together–they are all or nothing. Is it possible that an Oklahoma court could ignore the law? Yes, it is. Dealing with courts which have ignored the law is why SB 13 is needed. But if an Oklahoma court did ignore the law, the members of the executive and legislative branches of Oklahoma government could and should refuse to go along with such violation. But this concern is quite unfounded. In fact, after conducting a search, I could find no instance in the history of Oklahoma cases where a court ever ignored a non-severability clause. There may, however, be another basis for this claim that SB 13 could endanger current provisions regulating abortion. Perhaps the fear is that, if passed, SB 13 would lead to a Supreme Court decision that goes even further than its 2016 decision in Whole Woman’s Health v. Hellerstedt. Perhaps it could even lead to a Supreme Court decision claiming that the Constitution provides a fundamental right to abort ones child until birth. The answer to that problem is already in the bill, though. 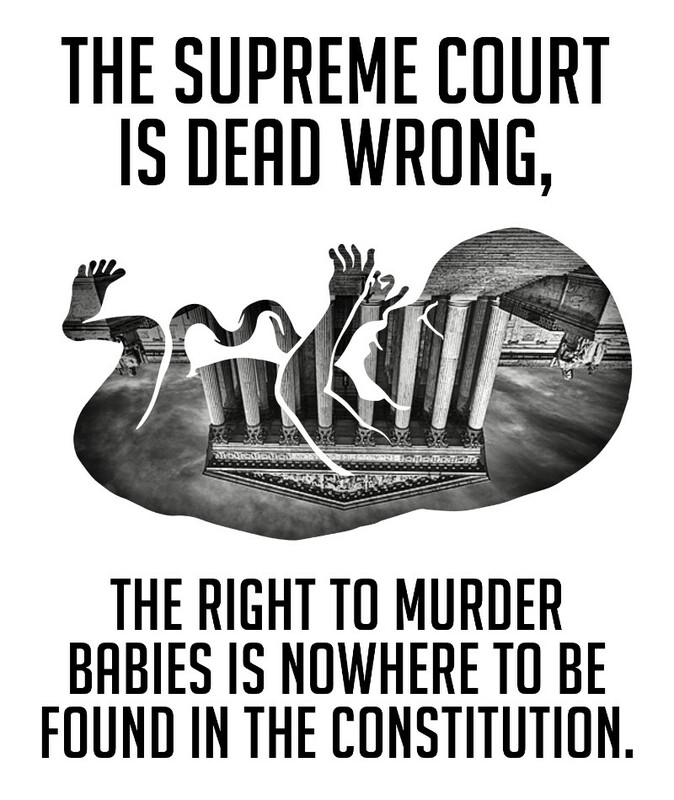 It is the same answer that the bill provides to every other unconstitutional decision of the Supreme Court which has led to 61+ million dead: Ignore unconstitutional decisions because they are not the law of the land. Where the courts ignore the Constitution, we must ignore the courts. So this fear is really just a red herring and should be disregarded. In fact, to be frank, those who are inciting this fear are either uninformed and unintentionally missing the point of the entire bill, or they are being disingenuous in order to cover their own lack of courage. Continue reading about SB13 at our Frequently Asked Questions page. Do you have a question about SB13 that is not answered or explained above? Contact us here.